"It was like winning the equivalent of the Nobel Prize for the field of radio science!" That was how Prof. Emeritus Bodo Reinisch of the Environmental, Earth and Atmospheric Sciences Department of the University of Massachusetts Lowell described the news that the International Union of Radio Science (URSI) has chosen him to receive the prestigious Appleton Prize for "outstanding contributions to studies in ionospheric physics." 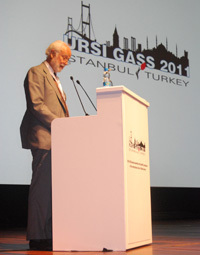 The award was presented during the opening ceremony of the tri-annual URSI General Assembly and Scientific Symposium on August 14, 2011 in Istanbul, Turkey. The Appleton Prize was first given out in 1969 by the Council of the Royal Society of London to commemorate Sir Edward Appleton, who served as president of URSI from 1934 to 1952. Once every three years, URSI selects a recipient and presents the award at the General Assembly. Reinisch, who is the former director of UMass Lowell's Center for Atmospheric Research , was cited for "revolutionizing radio sounding from ground and space with development of the Digisonde and the IMAGE/RPI satellite instrument, [which are] both essential data providers for space-weather monitoring and ionospheric modeling." "The award made me very happy," he says. "It is a very nice recognition of the excellent research done at UMASS Lowell's Center for Atmospheric Research." In 2008, Reinisch received an award from NASA for his work on the Radio Plasma Imager (RPI), which was conceived and built at the Center. The instrument, designed to characterize plasma in Earth's inner magnetosphere, was flown aboard the space agency's highly successful IMAGE spacecraft, which operated from 2000 to 2005. Reinisch, who was the RPI's principal investigator, and his team from NASA's Goddard and Marshall Space Flight Centers, Rice University and Stanford University were given a NASA Group Achievement Award for "pioneering advanced space-based radio sounding and scientific advances achieved through its innovative application to geospace science." The RPI collected a wealth of scientific data during its lifetime. Nearly 100 publications in refereed journals and books have used the RPI data. 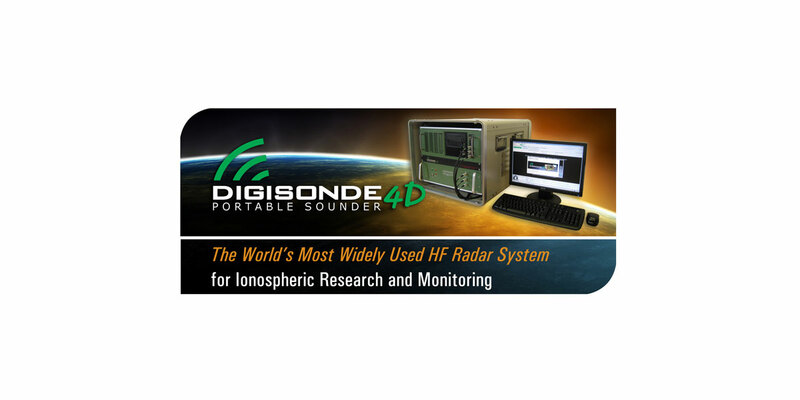 In December 2009, Dr. Reinisch founded Lowell Digisonde International, LLC (LDI) to commercially develop and manufacture a new, advanced digital ionosonde — the Digisonde-4D — for monitoring the conditions of Earth's ionosphere in real time. He aims to have a network of ground and space-based ionospheric Doppler radars operating 24/7 around the world to keep tabs on the ionosphere in the wake of solar flares, geomagnetic storms and other global space-weather disturbances. LDI is located at Wannalancit Mills in Lowell; starting in 2010 the company built and installed a number of systems world-wide: China, India, South Korea, South Africa, Belgium, Brazil, and the US. Dr. Reinisch and his team of scientists and engineers devote much of their efforts to Research and Development of new HF radar applications as well as new scientific instrumentation. Dr. Reinisch and his wife Gerda are long-time residents of Bedford and are still living in the same house they purchased in 1967. They have two daughters, both graduates of the Bedford school system. They live in Connecticut, one has a veterinary practice specializing in animal behavior, and the other is on the faculty of Yale University. Another Bedford resident, Mr. Steve Vassilis, serves as LDI's CFO.